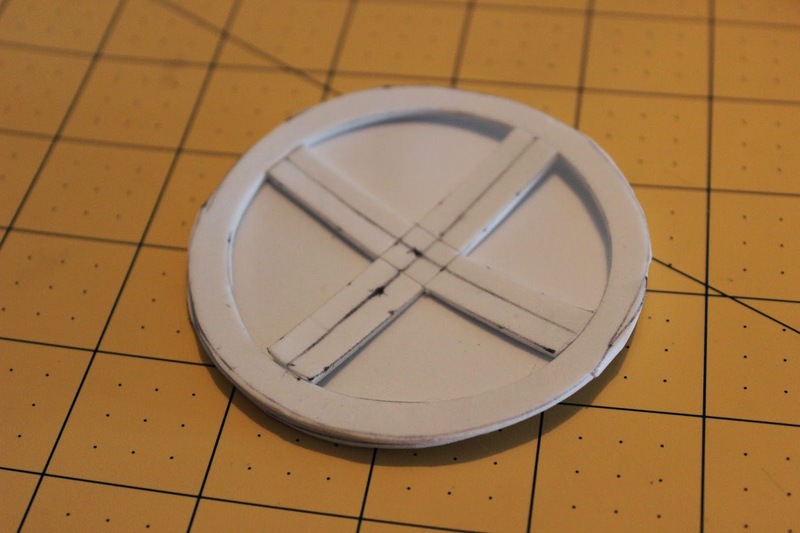 Anna Stasia shared her X-Men belt buckle tutorial with us. I recently bought some worbla and I’m hooked! I love this stuff. 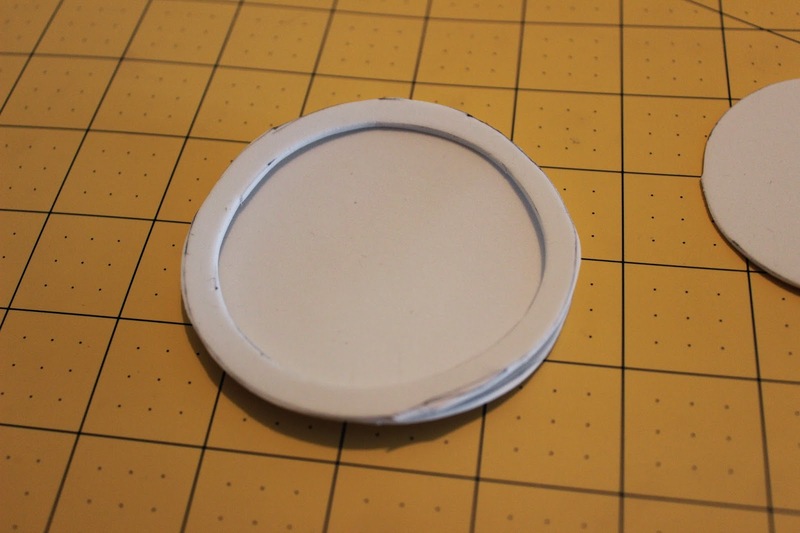 I made two different things, so I’m going to make a tutorial for both. 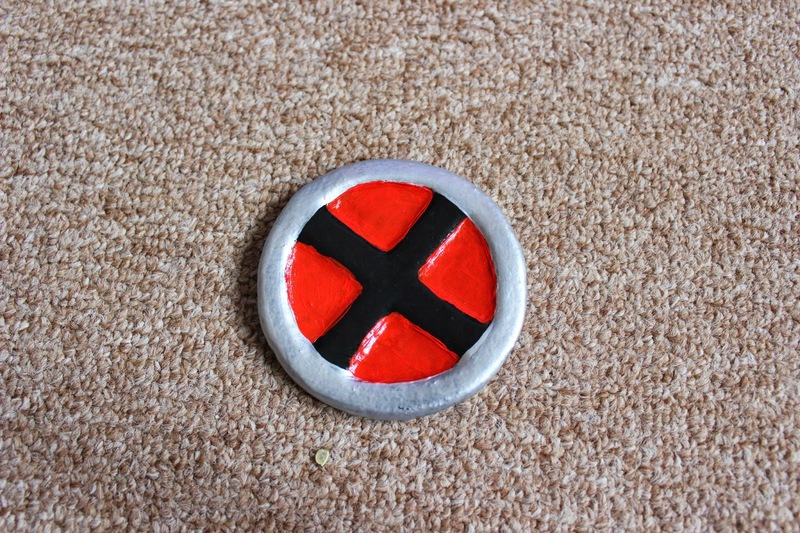 The first, this one, is an Xmen/Xforce belt buckle. First, if you can, get a picture or stencil and print it out. It will make your life much easier. Otherwise, you’ll need to sketch your design. This is the one I used. I had to resize it in order for it to be the size I wanted. Just play around with some scrap paper and print it a few sizes until you get one you like. Print two copies. 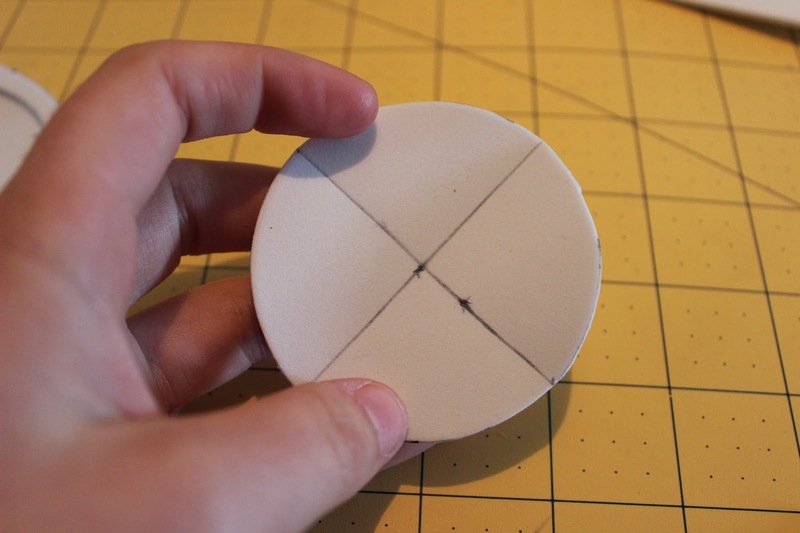 Then, cut it out (just the circle). 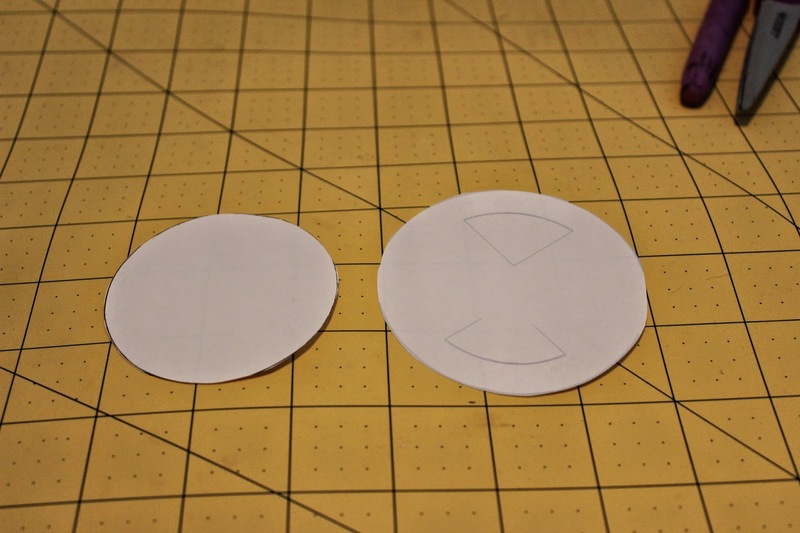 Use these to stencil and cut it out of craft foam. You need a copy of the big circle, and then draw a second copy of the big circle, with the little circle drawn inside it. This will be your outer border. 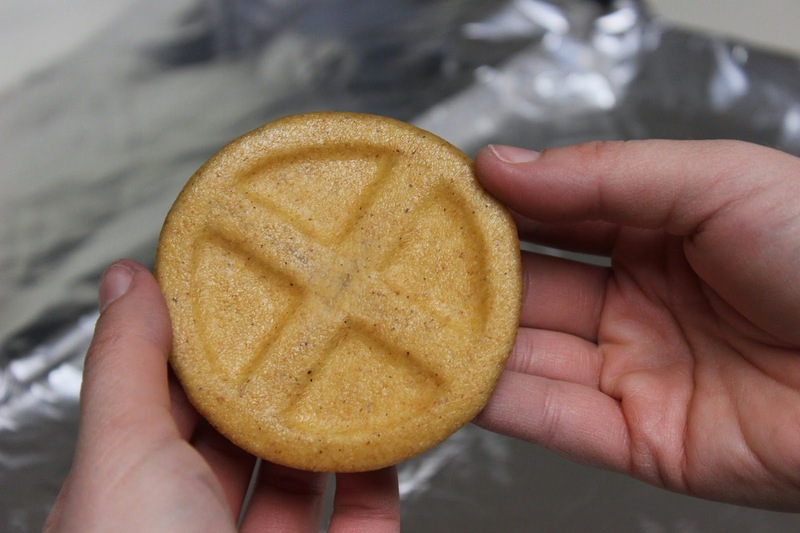 Then, use your smaller circle to make the X. What I did was fold in half and score, then fold in half again and score so I have a center. 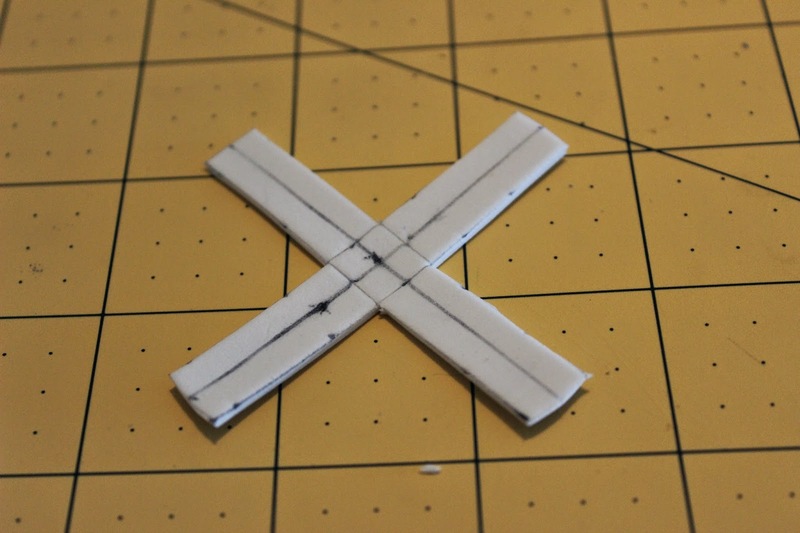 Then, marking 1/2 cm out from the line on both sides, I made my X. 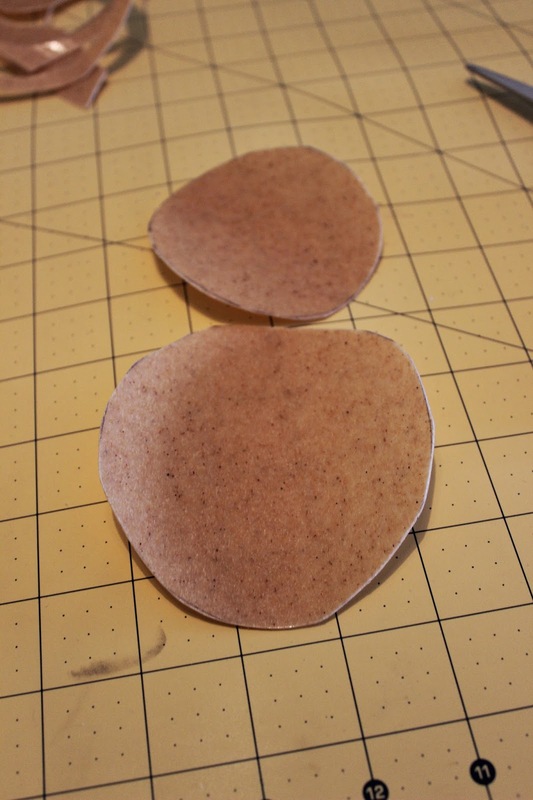 Onto the worbla! 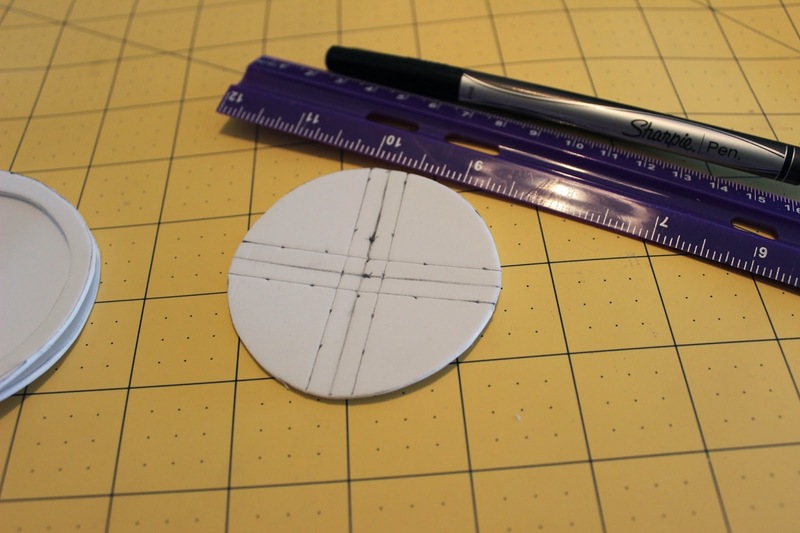 What I did was cut a circle the size of the whole, then cut one slightly bigger than the whole. 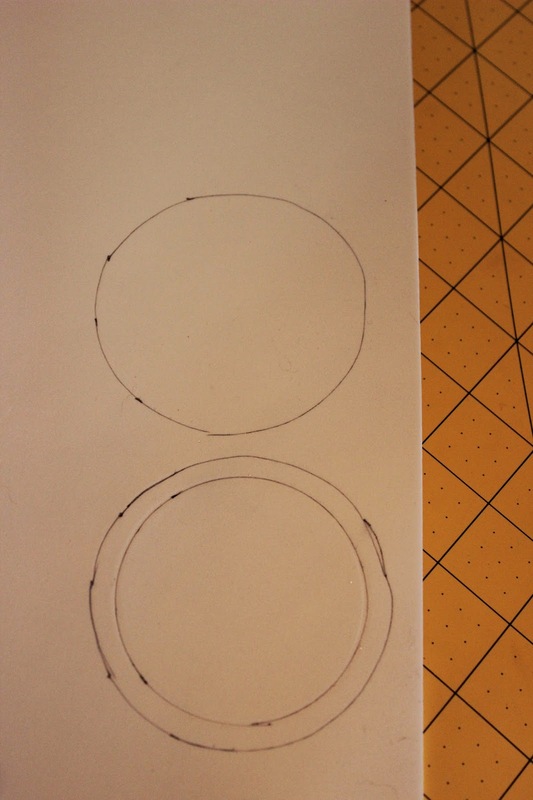 I actually just traced my large circle twice, cut one out perfectly, the other cut out around a bit. 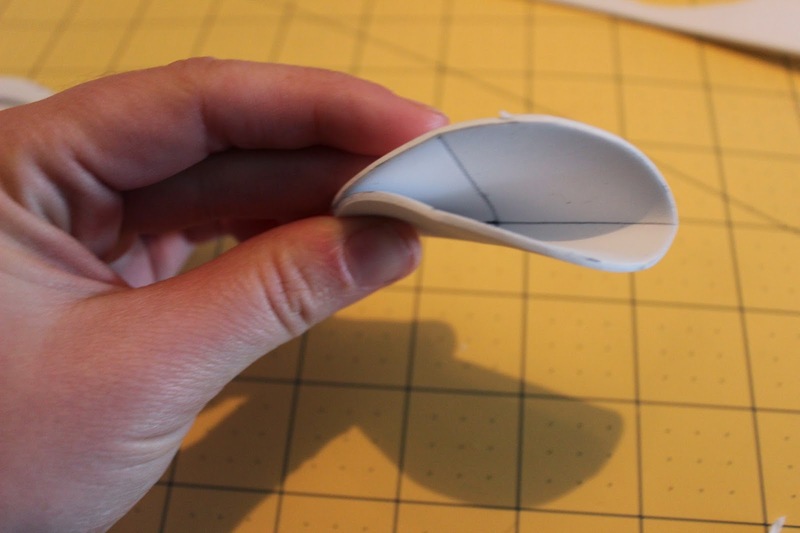 Use manufactures directions for heating worbla. What I did: cookie sheet covered in foil, on the top of my stove. 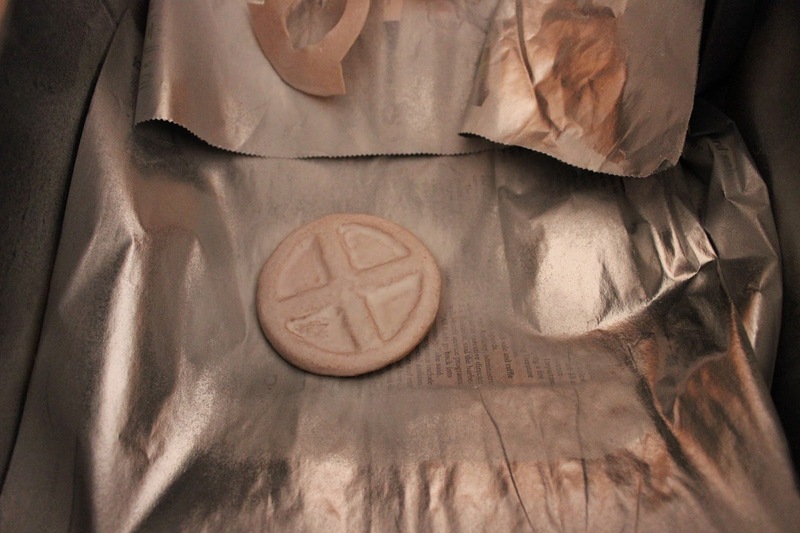 There is a shiny and rough surface to the worbla. Shiny side up on your smaller circle. Then put down your craft foam version. Larger circle shiny down on that. That is how your sandwiching should go. First, your small circle. 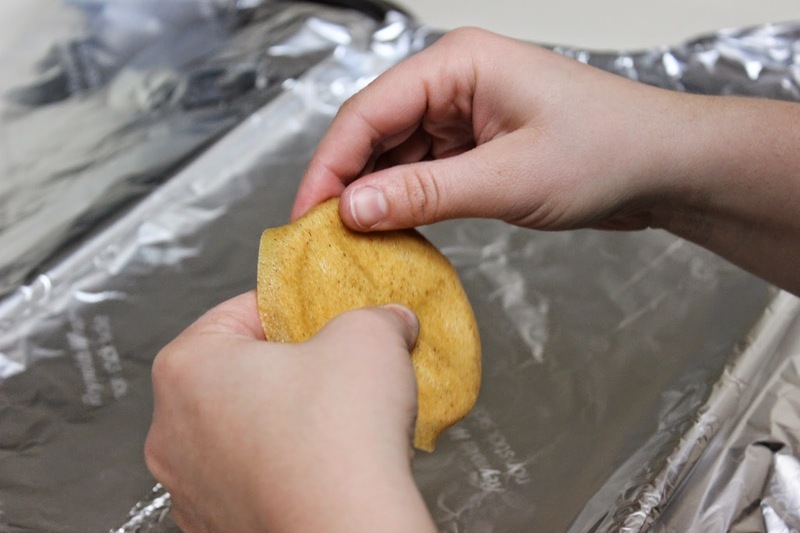 Shiny side up on your foil. Heat with heat gun. 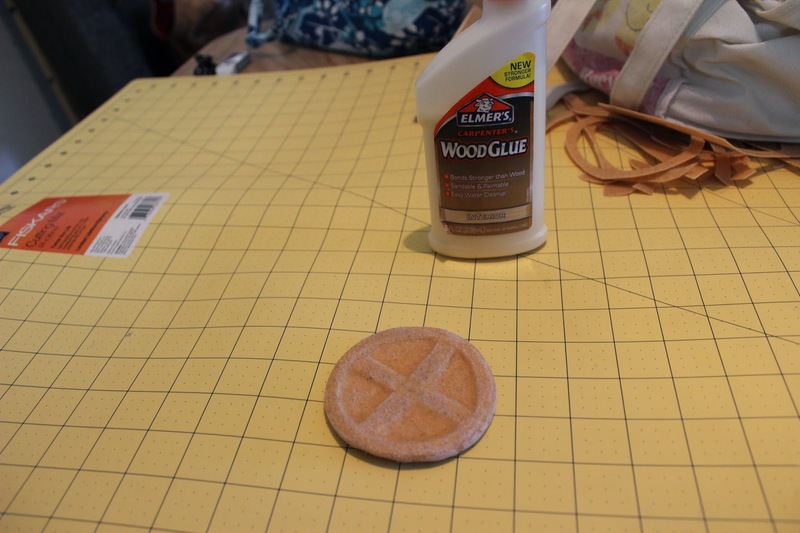 When it turns a caramel color, place your large foam circle on top (or the whole thing if you glued it together). 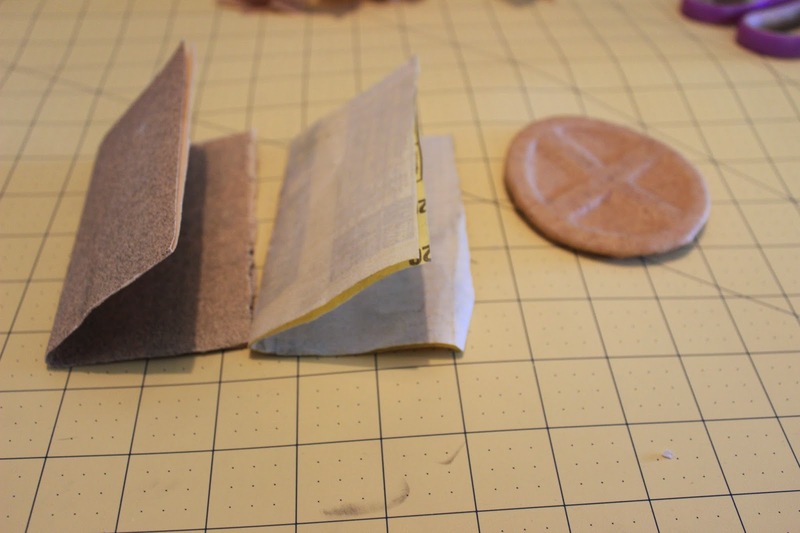 Then, assemble the rest of the foam (if not glued). 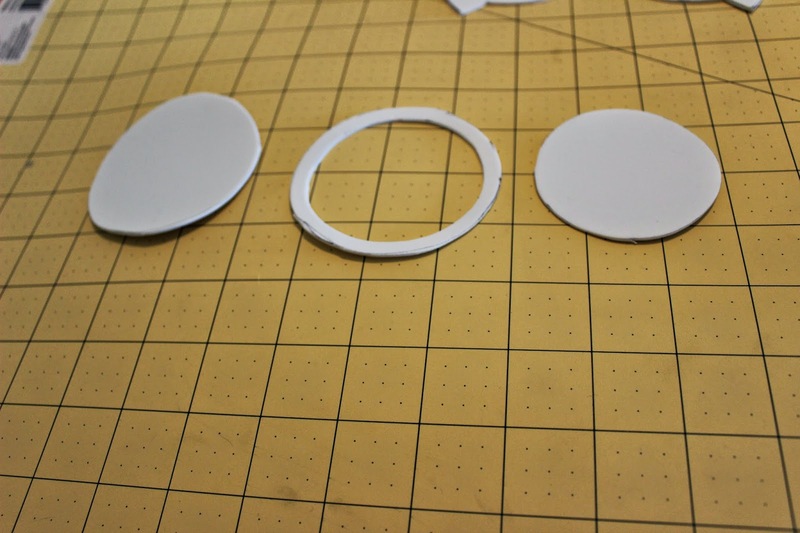 Heat your large circle (shiny side) then place shiny side down onto your foam. Use your fingers to work into grooves. Let it cool completely. 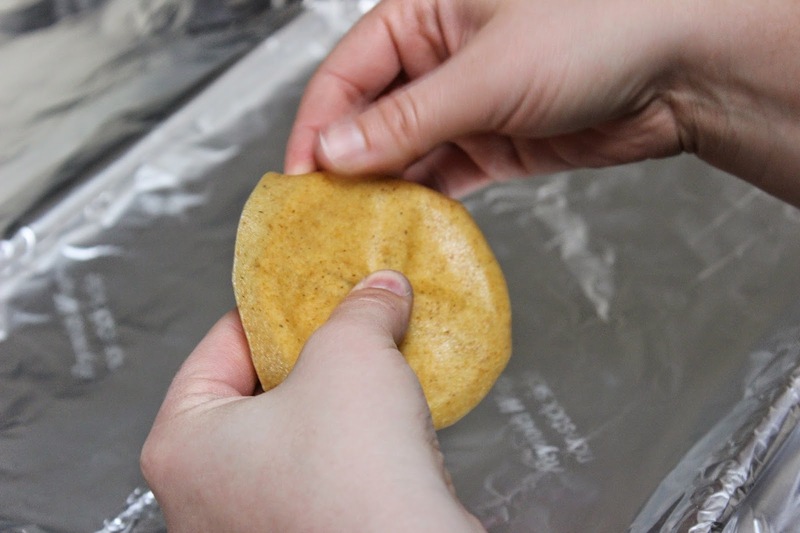 Now, you need to smooth it out. People recommend gesso. I didn’t have any and wanted to paint it during my days off, so I used a couple coats of wood glue. Seemed to work fine for me. Sand smoother with two grits (at least). Once smooth, prime and paint. I used plastidip to kind of smooth it even more. version). Done! 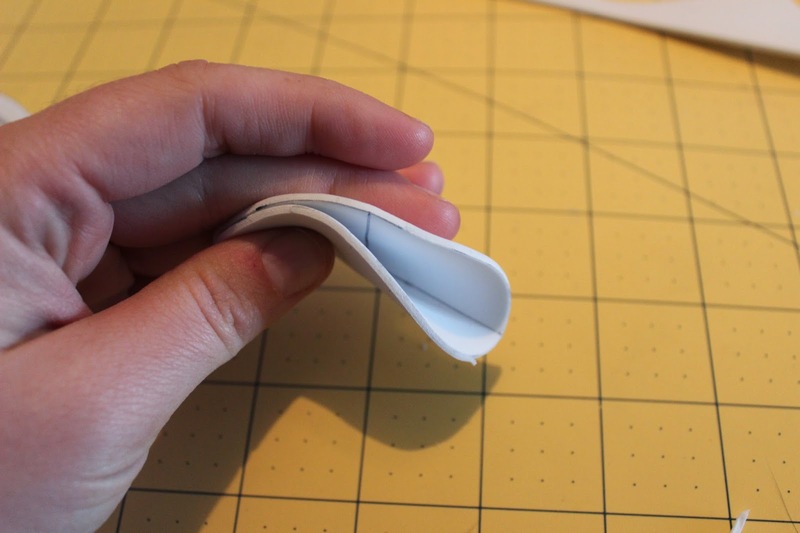 To attach, you can hot glue it to a buckle, or do like I did (sorry no pics :-/): Take a rubber band and fold in half (like you’re using it, not actually folded). 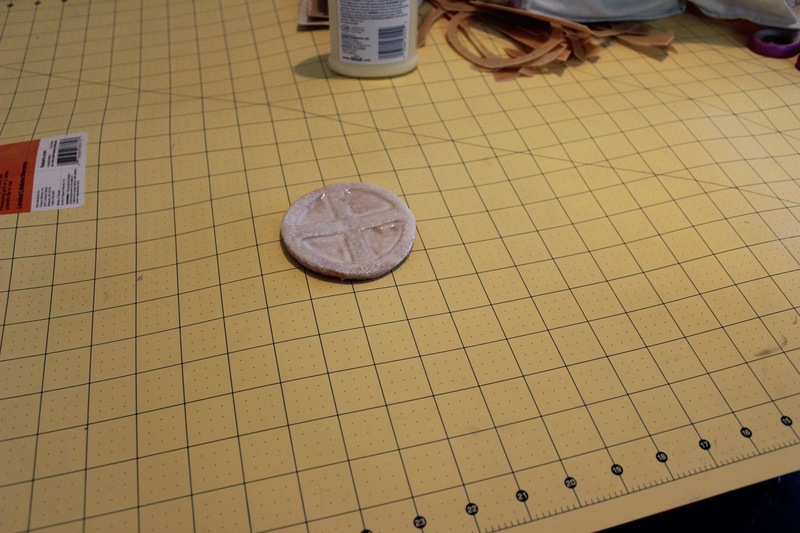 Using a scrap piece of worbla (small), heat with heat gun, place rubber band on back of symbol, place heated worbla over. Once cool, you know have a rubber band attached to your buckle. Now, you can just slip it over the belt! And since it should be used with a thick tactical belt, it should be snug enough. Hopefully that made sense. I spaced on taking pictures of it. Thanks again to Ana Stasia for sharing her tutorial with us! You can find her work online below!